Saga #25 was first released 2/4/2015. 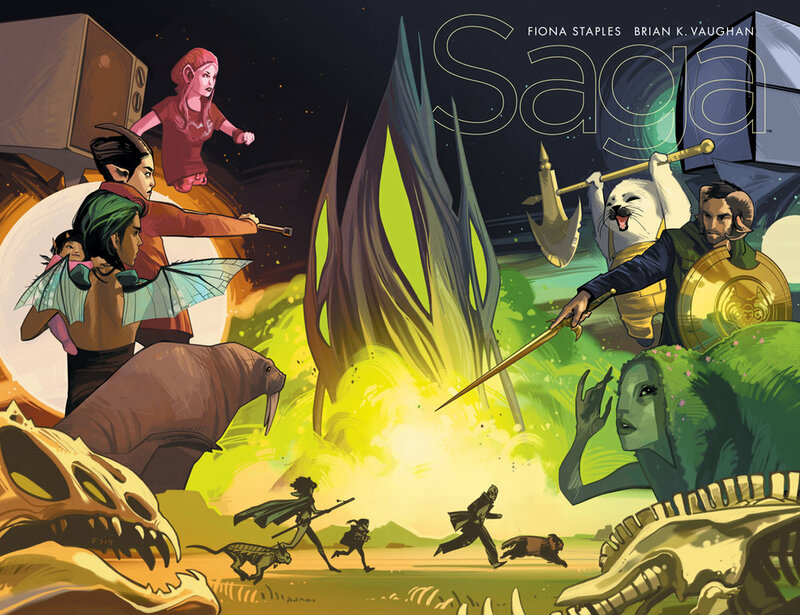 By Zack Quaintance — Saga #25 is the first issue back from the break, and, apparently, the creators used the time away to conceptualize and execute one of the series’ most grandiose chapters yet. I most certainly did not pick up on this my first time reading through, so consumed was I with what exactly was about to happen next, but it’s pretty evident here. I’ll go into more detail about this below, but the most notable thing about this issue is that in it, the creators finally crack and give us the broadest view yet at the war that has riven the galaxy and essentially given rise to the events of this story. We get a macro view of it all, one that ranges from showing how the conflict has become unnoticed for most on the homefront to the history of enlistment techniques. It all leads up to a last page that shows us an inevitable reaction to a forever war—political opposition. Let’s check Saga #25 out! The Cover: This cover is one of the more epic in scale, a wrap-around featuring action and more characters than any other Saga cover to date. It’s busy by design, which actually sets it aside from most of the other covers in this series while making it more at home among the other sci-fi comics on the rack. It’s not among my favorites, I’ll say that much, but I don’t hate it either. Coming back from one of the book’s breaks, it does a great job reminding us of what’s happening and who are our principal actors. The First Page: Like the cover, the first page of this issue also stands apart a bit from the rest of the series. It’s black and white, subdued, and split into multiple panels, a stark contrast to the full-page splash of a shocking or fantastical, full-color image that we usually get (a couple of which actually come later in the comic). Conceptually, I like this quite a bit. The visuals are ho-hum, but it works well for the narrative, giving us some historical context for the forever war that has both created and shaped the little family at the center of our story. It’s specific to this space opera, and the next few pages go on to convey universal ideas we’ve seen play out in our own society as it relates to war. We don’t often get broad looks at the conflict here, but when we do, the creators tend to make them count. This is a great example. This uncharacteristic Saga first page starts our first super broad view of the war at the heart of this series. The Surface: The first five pages of this issue are the most direct look at the war the series has given us yet, with Hazel the narrator taking the 20,000-foot (or would it bee 20,000-light years?) view of what’s happening, how it’s progressed through time, and how it affects many of the residents of the two central planets. It’s interesting that it took 25 issues to get here, to some extent, but really, the story was so engaging with its hyper focus right from the start, that it had the freedom of leaving the war around the edges. The creators probably could have withheld that five-page explainer further, but they knew they had their audience on the hook. Also, I’d imagine it simply felt like time. Following the expository opener, Saga #25 goes on to bounce between our many sets of characters. Three months have passed, and the surface of this comic has a bit of work to do catching us up to the various status quos. 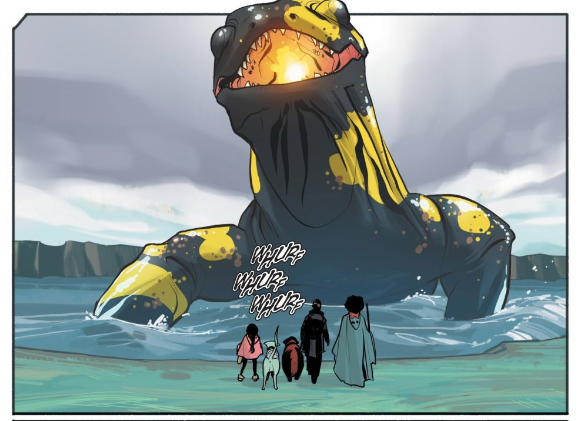 The Subtext: The subtext in Saga #25 is largely about hierarchy. 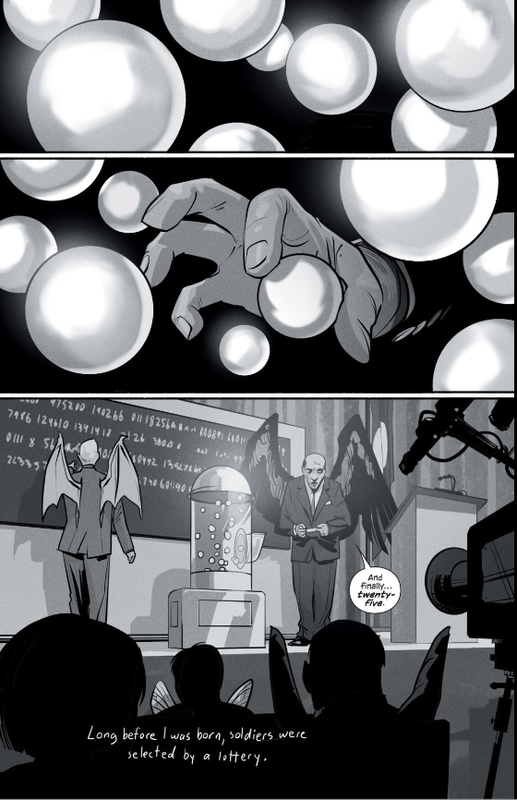 It’s so prevalent in the opening five-page explainer that it’s basically surface level, but it pops up a couple times later, first when Marko’s mother tells Alana to get it together because they aren’t helpless damsels in distress, and later when Prince Robot IV tells Marko he is forbidden to address him directly, despite their shared plight and mutual objectives. These are all subtle-yet-effective ways to remind us this universe, much like our own, is one built on rigid social pecking orders. It all leads up to the introduction of the Rebellion Revolution...a group of characters I had 100 percent forgotten about. 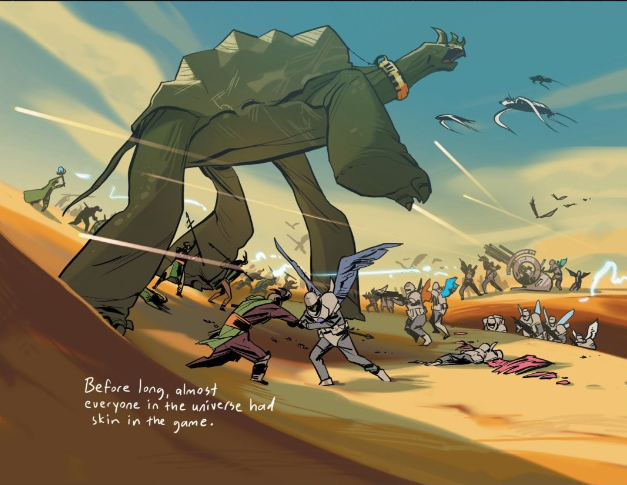 The Art: Fiona Staples is given a chance early in the book to go full Star Wars, depicting scenes of intergalactic war and outsized alien monsters. And she knocks it out of the park. Fiona Staples is also given a chance to show what it looks like for many denizens of this universe on the homefront. And she also knocks that out of the park. These returns from a hiatus, with their presumably lengthier lead times, are always an absolute visual treat, and this issue is no exception. The Foreshadowing: A little heartbreak with the foreshadowing here as Hazel lets us know that it would be years before she and Marko are re-united. But hey, at least we know they’re eventually re-united!